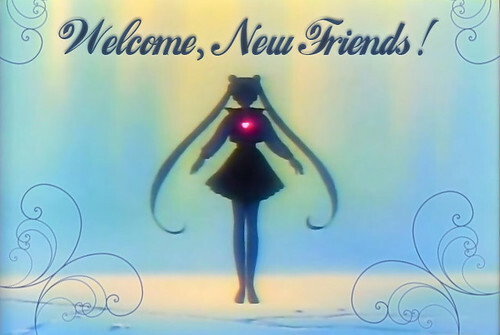 Welcome to LJ's original and largest community to chat about all things Sailor Moon! Whether you love the anime, the manga, live action, or sera myu, the heroes or the villains, the original Japanese or the dubbed versions--this is the place for you! 1) Be respectful ♥ We all love Sailor Moon, so right there, we all have something in common! 2) Your post must be related to Sailor Moon, even if it's in a small way, like seeing a necklace that looks like one of Usagi's brooches (this is fine :3). The exception is the weekly Free-For all Friday post where, like it sounds, you can post about anything topic you like within that post. 3) Friendly debate is fine--but POSTS/COMMENTS AGAINST SPECIFIC MEMBERS (or, for the sole purpose of attacking/starting wars with certain members/groups, even INDIRECTLY) ARE NOT ALLOWED. We're all intelligent people, and I expect you to use your judgment. Review rule #1 if you're still confused. 4) Complaints, suggestions, kudos, whatever, should be posted here in this comment moderated post. Please do not create new posts for these things. I'll do my best to get back to you within a reasonable amount of time. 5) No selling posts, please. We have a "selling post" every Sunday where you can share your wares but until then, please refrain from posting individual selling posts to the comm! smcollector is a community specifically created for selling SM merch to other SM fans! Submit a request to join there and I'm sure someone there will love to buy your items! 6) Please limit pimping of your community to once every two weeks! No one is going to be policing this fiercely but the community has spoken and every 2 weeks only got one more vote than once a month, so keep that in mind! 7) Pictures not under a cut are limited to a size of 600x600, please. Want some great links to help you find galleries, music, info, or download episodes? Click here!